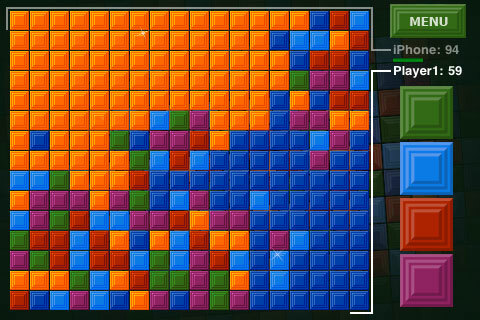 SquareZone is a puzzle game. The goal is to take the control over the game board. 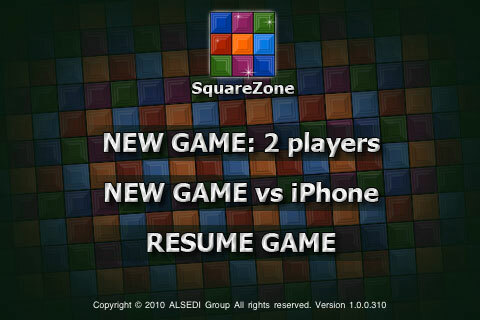 Two Players (or a Player and iPhone) start from opposite corners. Each turn player can join a selected color; the time to select a color is limited, once limit exceeded random color is selected. The game ends once all board squares are under the control by one or another player.